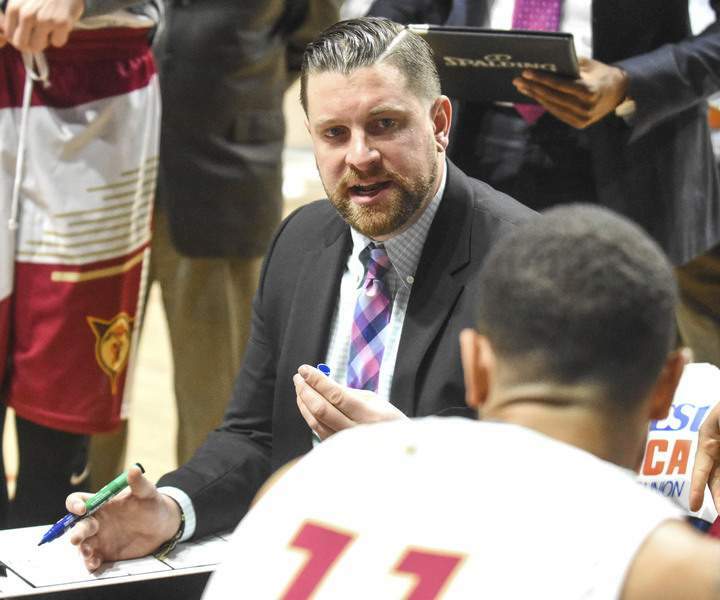 Michelle Davies | The Journal Gazette Mad Ants coach Steve Gansey will have to educate his team on new rules changes in the NBA Gatorade League this season. The Mad Ants made the postseason four of the last five years. With the season opener Nov. 4 at Uniondale, New York, the Mad Ants learned Wednesday there will be more playoff spots available. The NBA announced that its developmental arm, the NBA Gatorade League, will have 12 of its 26 teams make the playoffs. They will be the six division winners and three wildcard teams in each conference, with the top two seeds in each conference receiving first-round byes. However, once the playoffs begin, there will be less room for error than in the past. The first three rounds of the playoffs will be single-elimination games and the finals best-of-3. Last season, eight of the league’s 24 teams made the postseason, and best-of-3 series were utilized throughout. The Mad Ants were swept by Maine in the first round and Sioux Falls won the title. Not only a proving ground for players and coaches, the G League is a test site for rules changes and that remains the case this season. -- Overtime periods have been reduced to two minutes from three. -- Coaches will now receive only one challenge per game and it can only be used to review fouls, goaltending or basket interference, and out-of-bounds plays. -- There will be four referees per game, after last season the G-League experimented with four- and five-person crews for a handful of games. -- Instant replay can only be triggered for five reasons – flagrant foul reviews; to determine if a shot was from 2- or 3-point range; if a basket was made before the quarter-ending buzzer; if a foul occurred with no time on the clock; and to determine if two or more players engaged in an altercation. -- Each team will now have seven timeouts per game with no distinction between full or 30-second timeouts; teams may enter the fourth quarter with no more than four timeouts; teams can have no more than two timeouts after the TV timeout with 3:00 left; and teams get two timeouts in overtime. -- Technical fouls for flopping will no longer be assessed, in favor of a postgame warning-and-fine system. -- Teams go into the foul penalty at five fouls. Some experimental changes the D-League will continue this season include the 24-second clock resetting to 14 seconds after an offensive rebound, teams still being able to call a timeout to advance the ball and substitute in the final 2:00 and overtime, and away-from-the-play fouls resulting in a personal foul and one free-throw attempt.